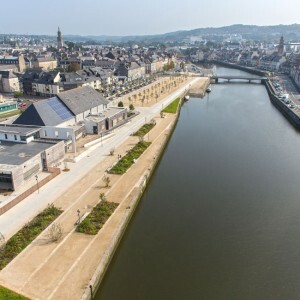 Urbicus: Landerneau is built around its river, the Elorn. 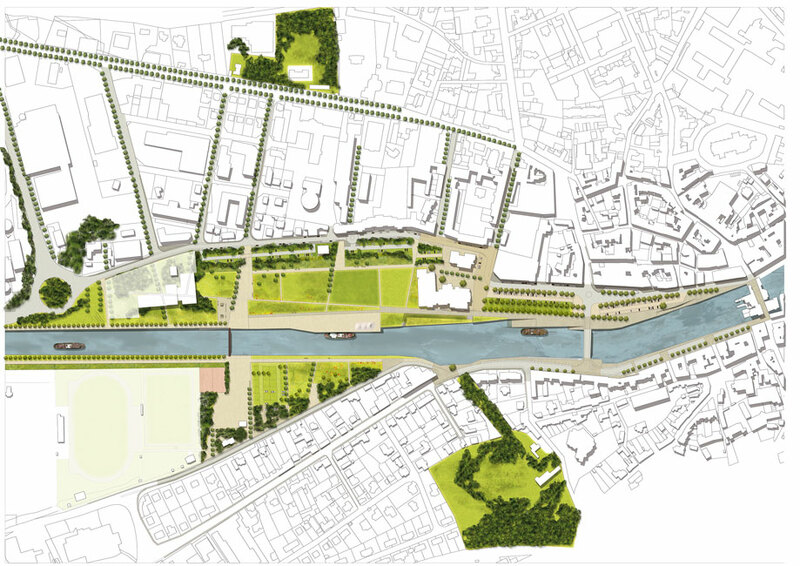 Rethinking the public spaces along the quays therefore means rethinking the town’s relationship with its river. 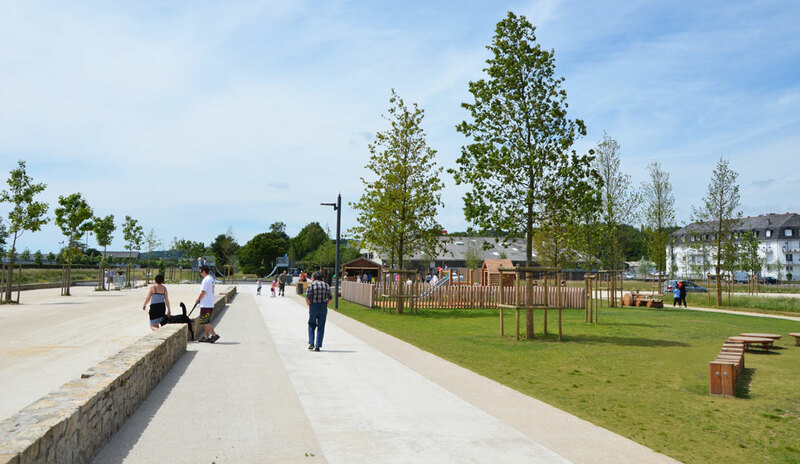 The quays arranged as a big, linear park on both of the river’s banks are a natural breathing space in the town and a place to experience its urban history. 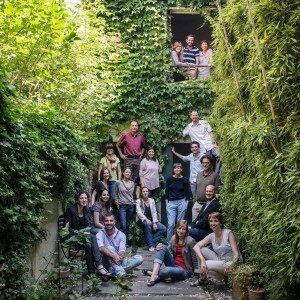 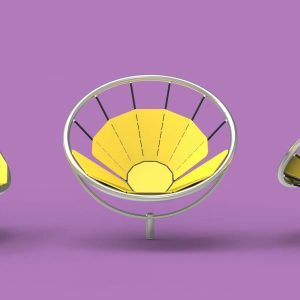 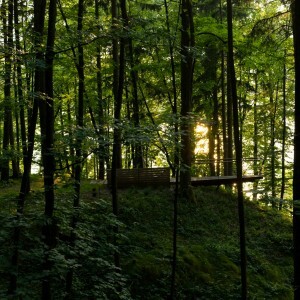 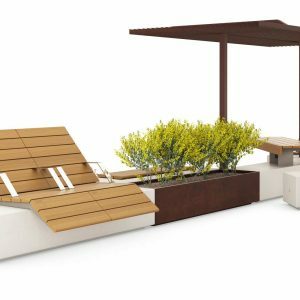 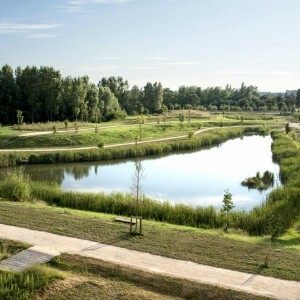 The Jardins de la Palud (Palud Gardens) project is based on creating a relationship between the town and nature. 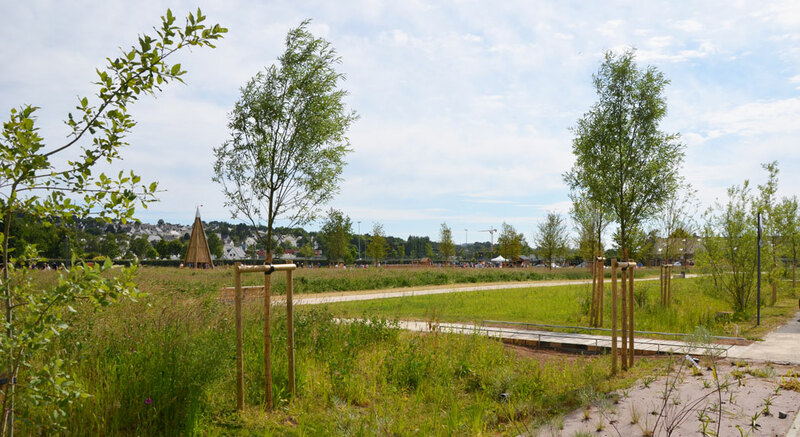 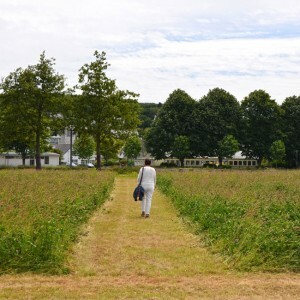 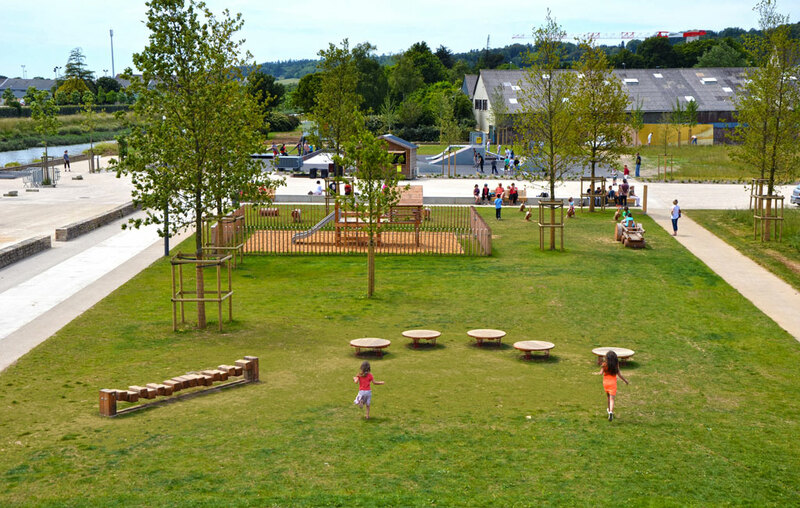 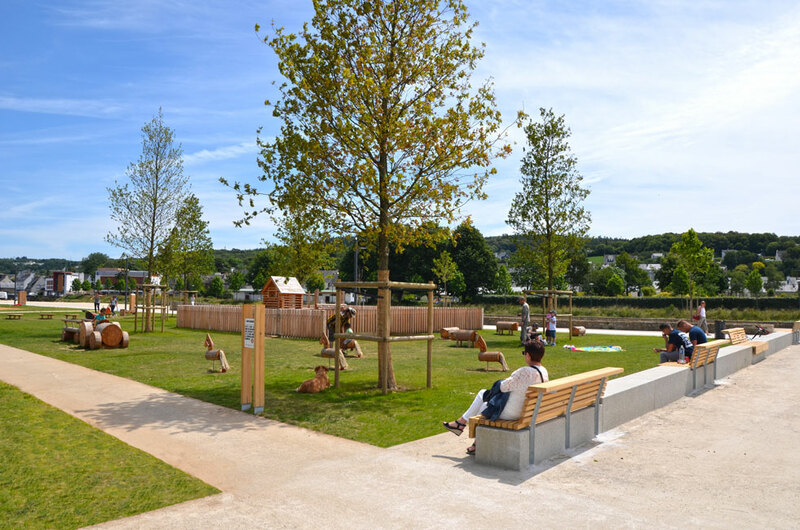 This park is designed to resemble fragments of the landscape of Landerneau’s surrounding countryside. 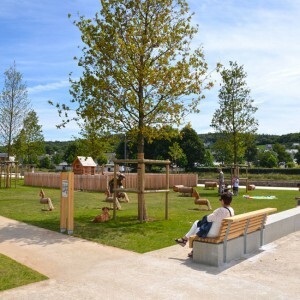 The quays offer views of the wooded hills and manor parks. 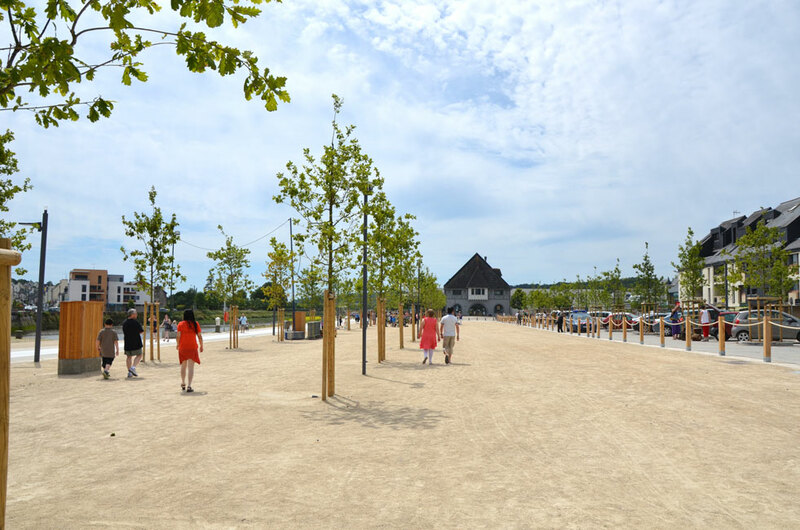 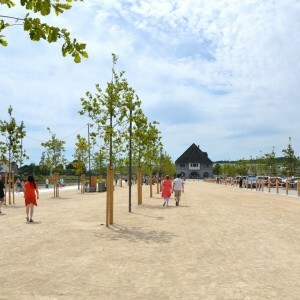 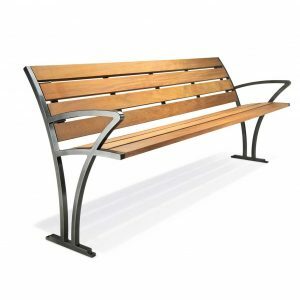 The park’s landscape extends into the streets to give the whole town a breathing space. 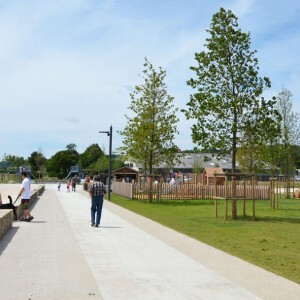 • The quay-park is a natural place with a celebratory function. 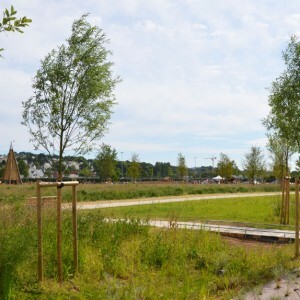 The park and its large meadows can host festivals and restore biodiversity. 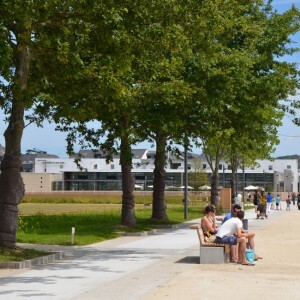 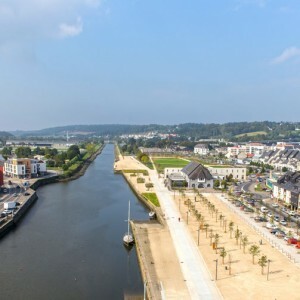 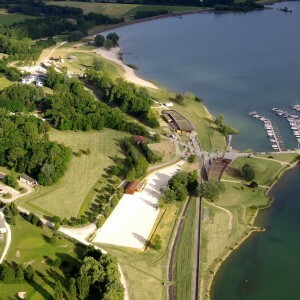 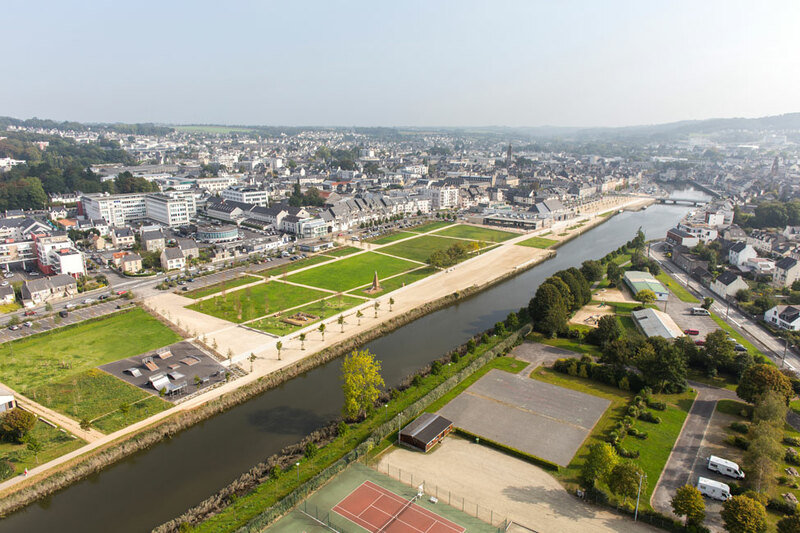 • The quay on Route de Quimper is a sports and leisure site between the stadiums and a renatured urban campsite. 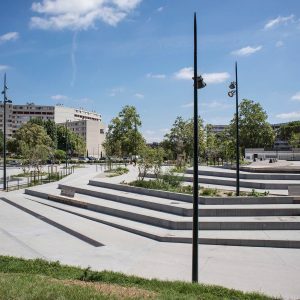 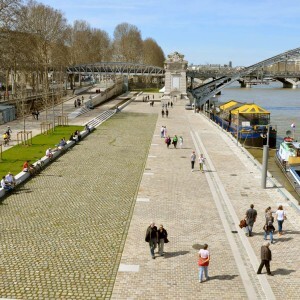 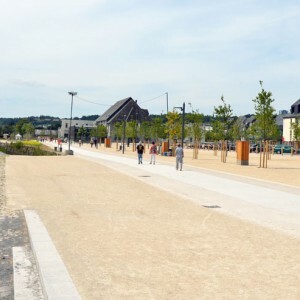 • The historic quays of Léon and Cornouaille are urban and commercial, hosting markets and other commercial activities. 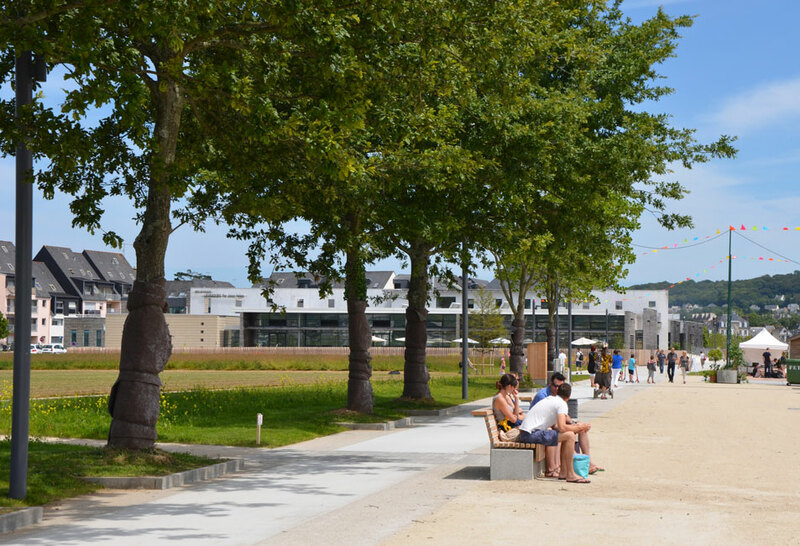 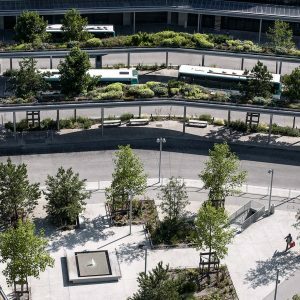 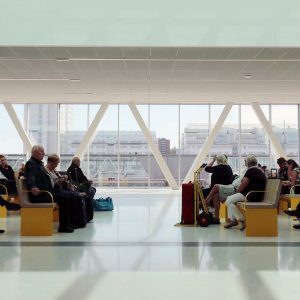 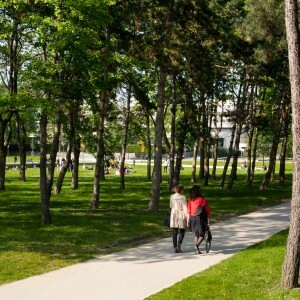 The general composition of the quay-park is based on the creation of a large expanse of meadow that opens onto the multimedia library, emphasising its contemporary architecture. 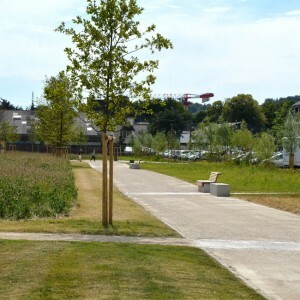 The park thus forms functional links with the town, which extend to the Elorn and even further afield via the footbridge. 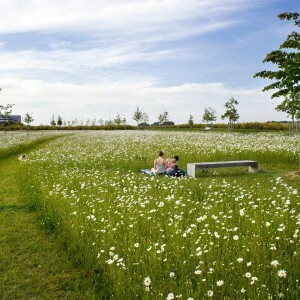 The meadows suit various purposes: the natural meadows are intended to be enjoyed by children and adults as a place for informal play and relaxation; the recreational meadows suit the needs of schools; and lastly the agricultural meadows occupy the edge of the park and are of greater ecological interest. 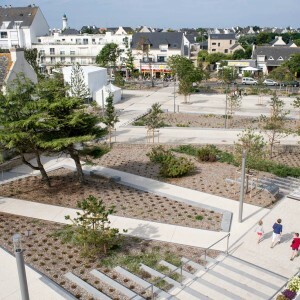 All the spaces are maintained following a differentiated management strategy. 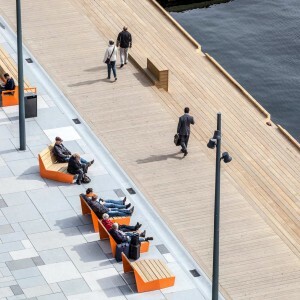 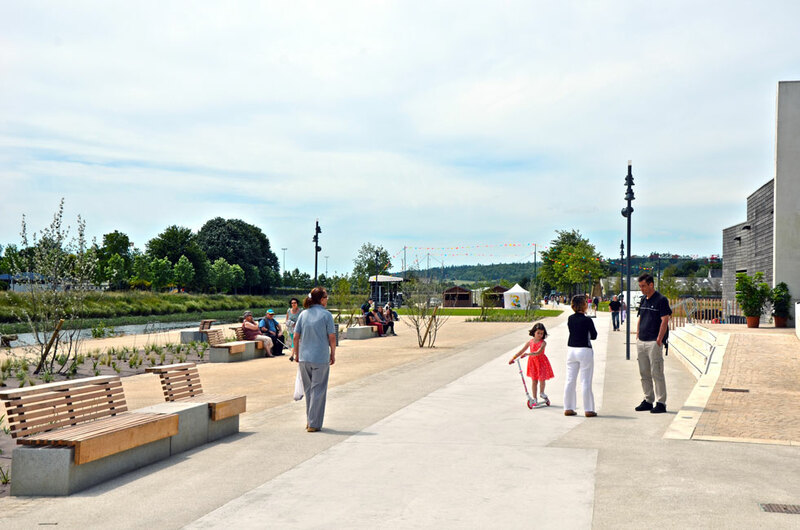 A long esplanade, an ideal place for conversation, relaxation and reading, becomes the essential focus of the town’s spatial organisation. 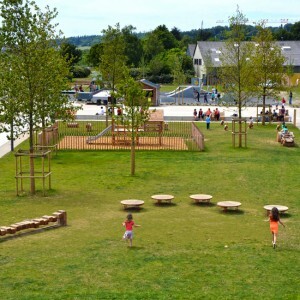 A play area backs onto the main esplanade, containing recreational facilities (skate-park, children’s play area) and surfaced so as to be suitable for motor vehicles. 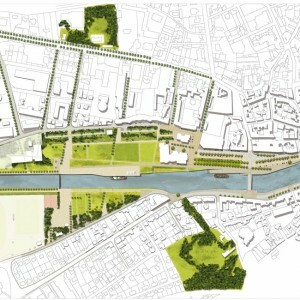 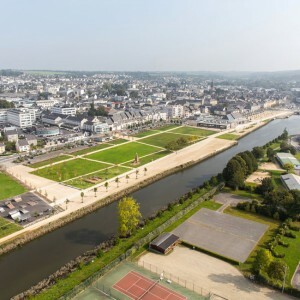 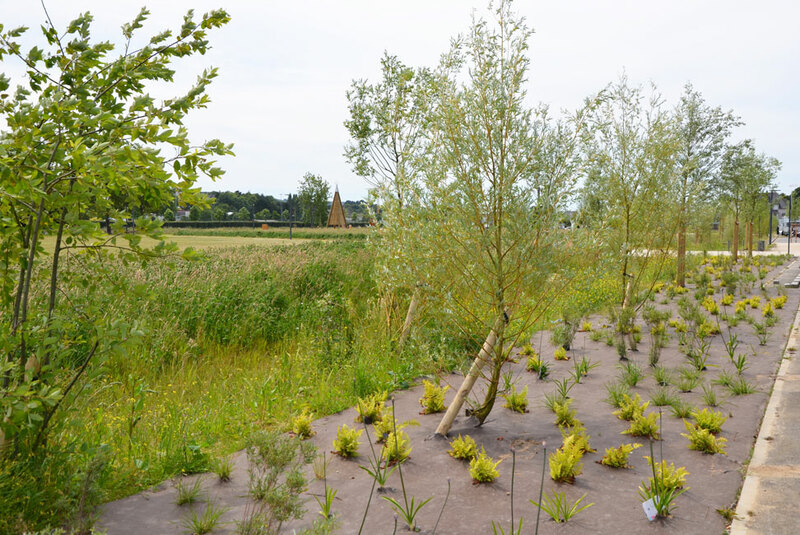 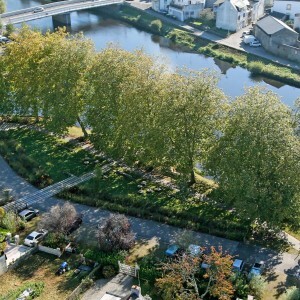 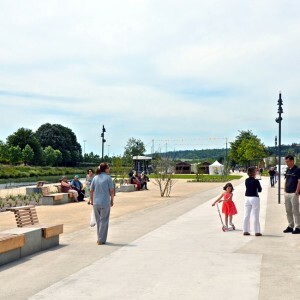 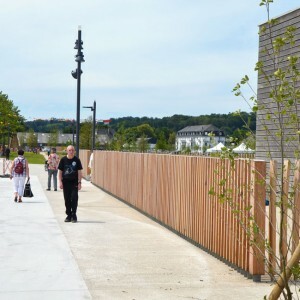 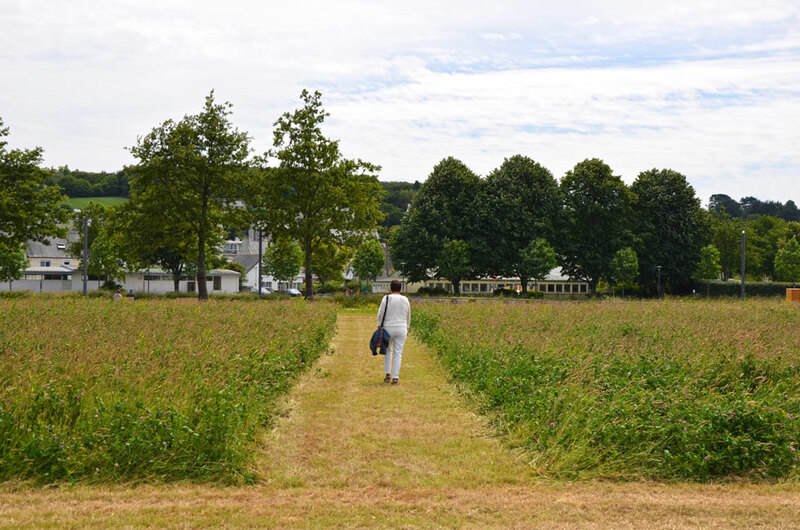 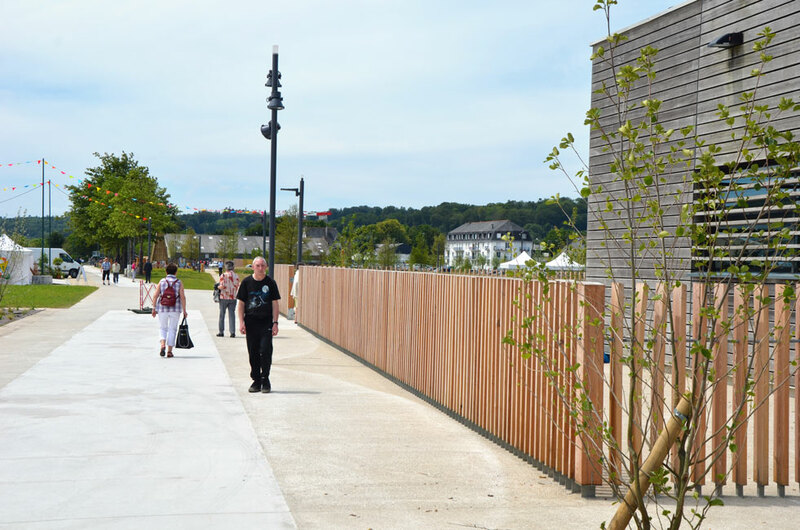 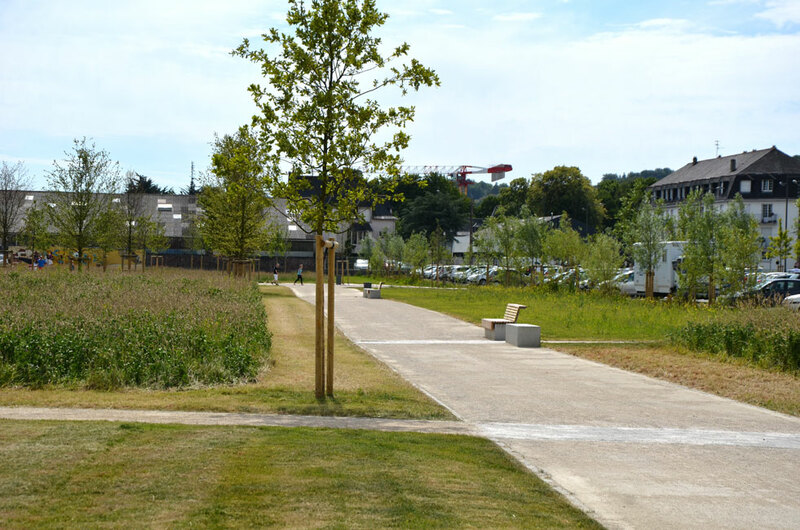 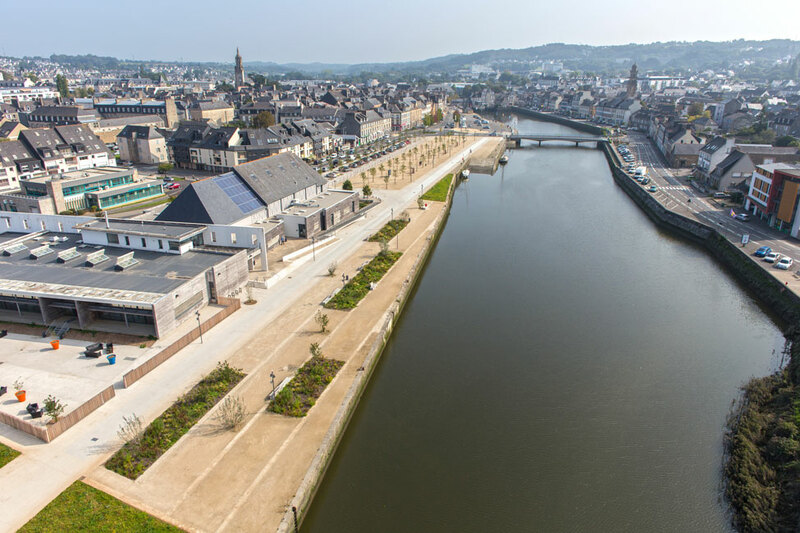 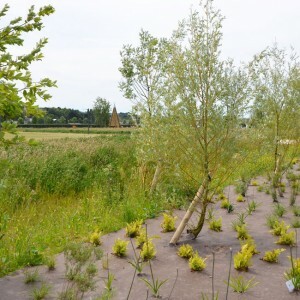 The urban park extends west towards the Elorn’s natural banks, downstream via the towpath surrounded by plants, forming a genuine ecological corridor through the town of Landerneau.